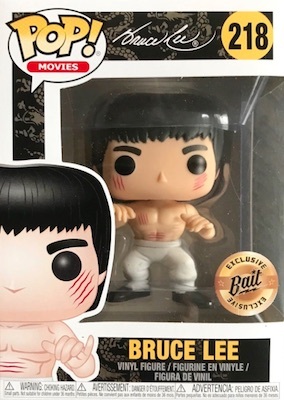 Product DetailsFunko Pop Bruce Lee honors one of the greatest martial arts heroes in history. The line is relatively small compared to others in the Pop! Movies line, however, it represents some of the icon's most memorable films. 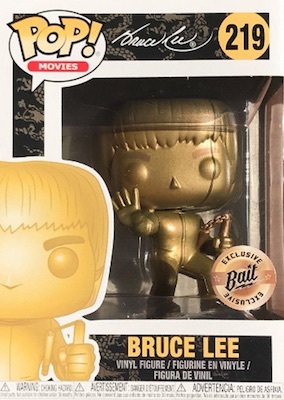 The first Funko Pop Bruce Lee figure offered is from Enter the Dragon. In a Shaolin fight-ready stance, Lee's face and bare chest show visible lacerations. Clearly, Funko paid close attention to detail as each of Lee's hands are perfectly bent to replicate the actor's classic style. 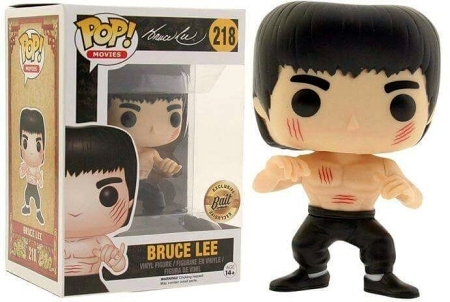 Shop for Funko Bruce Lee Figures on Amazon. Also, donning a yellow tracksuit—which became just as famous—Bruce Lee stands in matching yellow tennis shoes. While his body is facing forward, his head is turned to the side as he holds up an open-palmed hand while grasping nunchucks in the other. 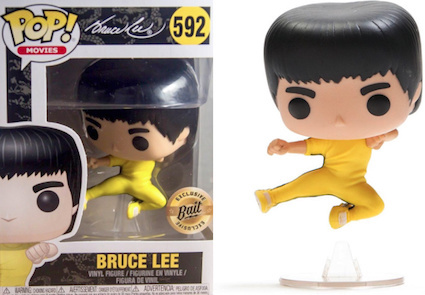 The first two Funko Pop Bruce Lee figures are BAIT exclusives, which were initially released in 2015, making both of them a somewhat rare and sometimes pricey item. Several more figures released at conventions in 2018, again as BAIT exclusives. Want more Bruce Lee collecting information? 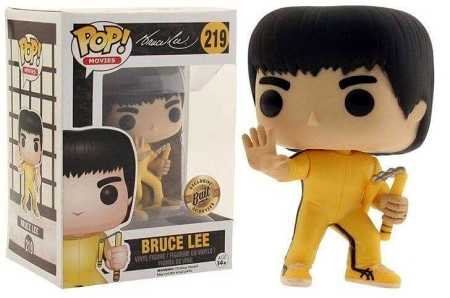 We've got you covered with our Ultimate Bruce Lee Collectibles and Memorabilia Guide. Let us know if you spot anything else. 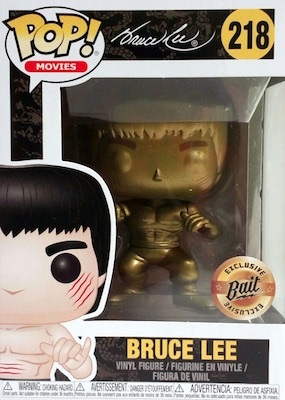 Funko Pop Vinyl Bruce Lee (Gold) 592 + Pop Protector - Rare!